"Serving the people. Securing the land" "For our country we will give all"
The Philippine Army (PA; Filipino: Hukbong Katihan ng Pilipinas; Spanish: Ejército Filipino), is the main, oldest and largest branch of the Armed Forces of the Philippines (AFP) responsible for ground warfare. Commanding General, Lieutenant General Eduardo Año, former Chief of Intelligence Service of the Armed Forces of the Philippines (ISAFP), assumed office on 15 July 2015. Its main headquarters is located at Fort Bonifacio. 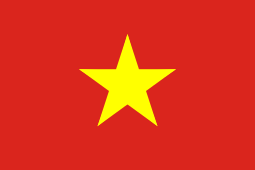 As of 8 June 2016 the National Conscription Mandate is under effect. "To organize, train, equip, deploy and sustain ground forces in support of the AFP mission"
"By 2028, a world-class Army that is a source of national pride"
Years of Spanish rule, which dragged on to almost three centuries made the Filipinos restive. They were soon clamoring for reforms and an end to oppressive friar rule. In 1896, Andres Bonifacio founded the Katipunan to prepare his band of freedom loving Filipinos for armed revolt. The Katipunan formed the nucleus of the Revolutionary Army. On June 12, 1898, General Emilio Aguinaldo declared Philippine Independence from Spain and formed the first Philippine Republic, in which he sat as its President. 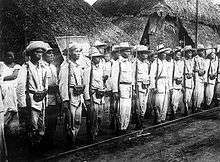 The Filipino troops were to enjoy only a brief respite from combat when American forces came in to establish rule in the islands by virtue of theTreaty of Paris, which Spain co-signed with America on 10 December 1898. 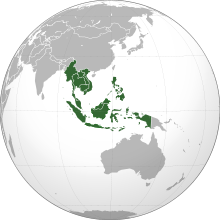 The treaty ceded the Philippines to the United States. On February 4, 1899, the Filipino-American War erupted. Due to the superiority of American arms, the Filipinos fell from one position to another until they were forced to disband. Even after the official cessation of hostilities and as the Americans have established government in 1901, the Filipino revolutionaries continued their struggle for freedom. Between that time until 1935, the revolutionary army lost many of its cohorts in sporadic engagements with American troops, but never lost its cause. A decade later, with the threat of war with Japan becoming imminent, on July 26, 1941 a new U.S. command in the Far East was created, known as the United States Army Forces Far East (USAFFE) under the command of General Douglas MacArthur. On the same date, U.S. President Franklin D. Roosevelt, issued a Presidential Order (6 Fed. Reg. 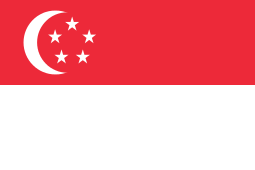 3825) which called the Philippine Army into the service of the Armed Forces of the United States. The Presidential Order did not order all the military forces of the Philippine government into the service of the United States Armed Forces. 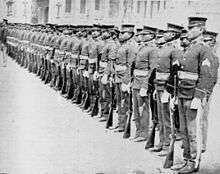 Only those units and personnel indicated in orders issued by a general officer of the United States Army were mobilized and made an integral part of the United States Army Forces Far East (USAFFE), and only those members of a unit who physically reported for duty were inducted. With an annual appropriation of 16 million pesos, the mobilized units trained new Filipino members in defending the nation and protecting its people. When World War II broke out in 1941, two regular and ten reserve divisions of the Philippine Army undertook the defense of the Philippines. These divisions were incorporated into the United States Armed Forces in the Far East (USAFFE) under the command of General Douglas McArthur. The equipment of these units included: Renault FT tank (prewar training only); 75-mm SPM (manned by PA and PS personnel); Bren Gun Carrier; Canon de 155 mm GPF; Canon de 155 C modèle 1917 Schneider; 75 mm Gun M1917; 2.95 inch QF Mountain gun; 3-inch gun; 6-pounder naval gun; Stokes Mortar; Brandt mle 27/31; Canon d'Infanterie de 37 modèle 1916 TRP; M2 Browning machine gun; M1917 Browning machine gun; M1919 Browning machine gun; M1918 Browning Automatic Rifle; M1917 Enfield rifle; M1903 Springfield rifle; Thompson submachine gun; and the M1911 pistol. With the fall of Corregidor, Filippino and U.S. forces under U.S. command surrendered. After the surrender, thousands of Filippinos formerly under U.S. command (especially the former Visayan-Mindanao Force, which had seen little combat) evaded Japanese confinement and hid in the jungle. Every major island had guerrilla groups; Luzon had a dozen, including the Communist Huks. 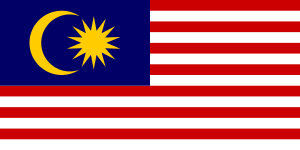 After initial clashes based on religious and political rivalries order was gradually restored, with most willing to trust the United States to grant independence in time. Many of these groups worked under the control of General Douglas MacArthur's General Headquarters, Southwest Pacific Area. The Japanese occupation of the Philippines saw repeated combat between the Japanese imperial forces, their collaborators and Filipino guerrillas. The American and Allied liberation force which began landing on October 17, 1944 was aided by local Filipino guerrillas in the liberation of the Philippines. President Sergio Osmena and Major General Basilio J. Valdez ordered the re-establishment of the army. The general headquarters of the Philippine Army and the United States Army Forces in the Far East moved to Tacloban, Leyte on October 23. From October 17 to September 2, 1944, local Philippine Constabulary troops, guerrilla units and the American liberation forces fought Imperial Japanese and Kempeitai troops which were supported by the Bureau of Constabulary and Makapili militia. Philippine Army Staff Sgt. 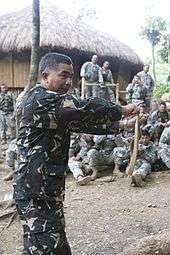 Manolo Martin demonstrates the proper method of holding a cobra during a survival course in the Balikatan Exercise 2008. Service of the Philippine Army as part of the United States Army terminated as of midnight, June 30, 1946, by authority of General Order #168, Army Forces Western Pacific. The next day, on July 1, President Manuel Roxas issued Executive Order No. 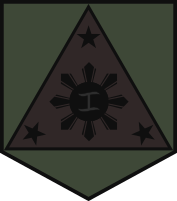 94 s. 1947 which, among other things, reorganized the Philippine Army into a service branch of what was now called the Armed Forces of the Philippines. 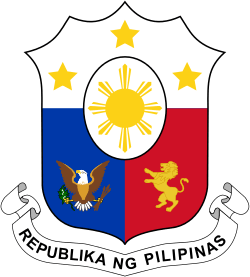 This resulted in the formation of the Philippine Air Force and reformation of the Philippine Navy as separate organizations after long years as part of the Philippine Army. The Philippine Army makes use of different kinds of equipment in its arsenal like pistols, submachine guns, shotguns, assault rifles, sniper rifles, machine guns, grenades, grenade launchers, mortars, anti-tank weapons, night vision devices, force protection equipments, combat radios, armored personnel carriers, infantry fighting vehicles, utility vehicles, field ambulances, howitzers, surveillance aircraft and assault boats. In its initial period in 1935-41, the army had pistols, rifles, assault rifles, sub-machine guns, machine guns, sniper rifles, anti-tank weapons, flamethrowers, grenades, mortars, knives, bayonets, artillery, and howitzers. The Philippine Army is expecting delivery of 114 M113A2 armored personnel carriers from the ex-US Army stocks, which are expected to arrive before the end of 2015. These are part of an earlier request by the Philippine government which was approved by the DSCA in 2012. Another batch of 28 M113A2, which includes 14 units to be armed with 76 mm turrets taken from decommissioned FV101 Scorpion tanks and fitted with modern fire control and thermal imaging equipment, 10 M113A2 with a Remote Controlled Weapons system (6 with 12.7mm machine guns, 4 with 25 mm autocannons), and 4 armored recovery vehicles. These modifications will be made by Israeli company Elbit Systems Land and C4I before delivery of the 1st batch of 18 units will be on June while the second batch of 10 units will be on July in 2015. A joint purchase with the Philippine Marine Corps for around 50,000 new rifles based on M16/M4/AR-15 platform and 5,500 close combat optics is underway, to replace the older M16A1 still in service on both armed forces branches. On May 4, 2013, the Department of National Defense (DND) has declared the United States-based Remington company the winning bidder to supply 50,629 pieces of M4 rifles, according to the Philippine representative of the company. On Dec 2, 2013 Remington announced that it has been awarded, a $47 million initial contract, to supply and deliver R4 carbines with accessories and training by the AFP. On 18 March 2014, the Philippine Army confirmed the purchase of 63,000 new-built M4 carbines for ₱2.4 billion, with the rifles costing ₱38,402 each. The M4s are part of an effort to replace the Army's Vietnam-era automatic rifles. July 2014, deliveries have begun. On December 2015, the delivery of M4 rifles was completed. The DND has shown interest to purchase of surface-to-air missiles from Israel for the Philippine Army. Offers were made by Israel-based companies Rafael Advanced Defense Systems Ltd. and Israel Military Industries Ltd.
Another joint purchase with the Philippine Marine Corps is for around 44,000 new body armor or force protection equipment, composed of basic vest, plate inserts and soft-ballistic panel and weighing between 5.8 kilograms to 6.8 kg. ↑ "Death Toll For U.S.-Led Coalition in Iraq". CNN. July 9, 2004. Retrieved 2008-07-04. 1 2 Jose, Ricardo Trota (1992). The Philippine Army: 1935–1942. Ateneo University Press. pp. 23–49. ISBN 978-971-550-081-4. 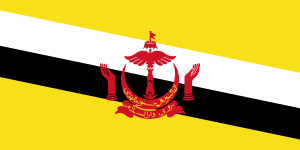 ↑ "Commonwealth Act No. 1". 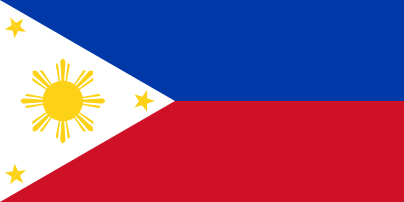 Philippine Laws, Statutes, and Codes. Chan Robles Law Library. December 21, 1935. ↑ Jose 1992, pp. 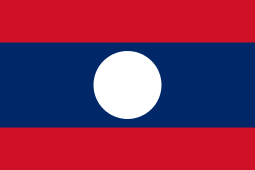 191–210. 1 2 "Philippine Army and Guerrilla Records". National Archives and Records Administration. 3 July 2013. Retrieved 24 December 2014. ↑ Leo Niehorster, North Luzon Force, accessed January 2014. See also Major Rolando Pesano, 'A Brief History of the 31st Division, Philippine Army.' Brig Gen William E. Brougher was assigned to command the 11th Division in September 1941. ↑ Jose 1992, pp. 210–214. ↑ Michael Wright, "The World at Arms: The Reader's Digest Illustrated History of World War II" Reader’s Digest, 1989, 384. ↑ "Executive Order No. 94 s. 1947". Official Gazette of the Philippines. ↑ "Mission of the Philippine Army". Philippine Army Website. Retrieved 17 July 2013. ↑ "Mechanized Infantry Division website". OG6, CISO, MECH DIV PA. Retrieved 2013-08-30. ↑ "Army to boost fire support with 14 APCs". philstar.com. Retrieved 24 December 2014. ↑ ACDO's CORNER: "A RELIABLE, CAPABLE RESPONSIVE MID"
↑ "Invitation to Bid- Assault Rifles & Close Combat Optics". PhilGEPS Philippine Government Electronic Procurement System. 2013-02-09. Retrieved 2013-04-04. ↑ "US-based Remington wins bid to supply 50,000 M4 rifles for AFP, company rep says". InterAksyon.com. ↑ "Philippine Military Awards Rifle Contract to Remington Defense". The Outdoor Wire. 2013-12-02. Retrieved 2013-12-08. ↑ "Remington R4 Adopted By Philippine Army – The Firearm Blog". The Firearm Blog. Retrieved 24 December 2014. ↑ Aurelio, Julie (11 January 2016). "Final delivery of 12,000 M4 carbine rifles now with AFP". Inquirer. Retrieved 6 May 2016. ↑ "Invitation to Bid for 81 mm Mortar Acquisition Project" (PDF). 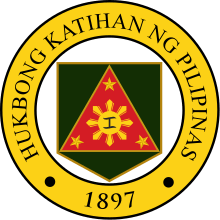 Department of National Defense (Philippines). 2010-01-01. Retrieved 2013-04-27. ↑ "Army chief unveils more gear for troops". ABS-CBN News. 2011-03-22. Retrieved 2013-04-27. ↑ "Philippines Army increases its fire support capability with new Serbian-made 81 mm mortar 2312133 – Army Recognition". Retrieved 24 December 2014. ↑ "DND eyes 100 new APCs from Italy". ↑ "DND to purchase P438-M cannons". ABS-CBN News. ↑ "Defense set to acquire P700-M howitzers, ammunitions". ABS-CBN News. 2013-12-01. Retrieved 2013-12-08. ↑ "PHL to acquire shore-based missile system". ZamboTimes. 2013-12-04. Retrieved 2013-12-08. 1 2 "Gov't eyes enhanced HAWK surface-to-air missiles". Manila Bulletin. 2014-03-31. Retrieved 2014-03-31. ↑ "AFP chief leads pledge to defend sovereignty amid internal, external challenges". June 12, 2013. ↑ "PH plans to tap Israel for missile launchers". Manila Standard Today. Retrieved June 15, 2013. ↑ Mallari, Mario J. 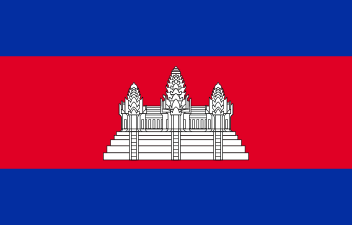 (2013-12-21). "Army allots P1.5M for dev't of its own drone". The Daily Tribune. Retrieved 2013-12-21. ↑ "Army to buy P530-M disaster response equipment". The Philippine Star. 2014-01-21. Retrieved 2014-02-22. ↑ "DND to purchase P1.7-B worth of body armors". ABS-CBN News. 2013-02-07. Retrieved 2013-04-27. ↑ "DND wants US testing for soldiers' protection kits". Business Mirror. 2013-03-31. Retrieved 2013-04-27.